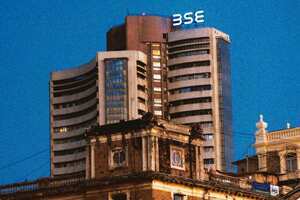 New Delhi: Indian stock markets are expected to remain volatile and may be dictated more by global investor sentiment than by the second quarter results season commencing this week, as IT bellwether Infosys declares Q2 earnings on Wednesday, analysts said. “Expectations are not too high from the earnings season starting this week as business sentiment has not been very encouraging," said Unicon Financial Solutions CEO Gajendra Nagpal. “The international picture is also very hazy at the moment and, above all, there is no near-term trigger for the market. The market may see a subdued opening on Monday," he added. Other market experts said however that Dalal Street will take cues from the US and European equity movements. They said that on the domestic front, apart from corporate earnings, IIP or factory output data for August may impact the sentiment to an extent. “The sentiment is extremely bearish in the market at present and one can see heavy bouts of volatility this week. The earning season will have no major impact on the market this time. On the contrary, Infosys is likely to deliver good set of numbers owing to the rupee depreciation," Ashika Stock Brokers Research Head Paras Bothra said. The BSE benchmark Sensex has lost 221.22 points to end the week at 16,232.54. However, the Sensex had on Friday surged 440.13, or 2.8 %. Indian markets had an extremely volatile trading past week in the wake of ratings downgrade of the country’s largest lender State Bank of India by Moody’s. On the global front, over one lakh jobs were created in September in the US but the unemployment rate remained at 9.1%. Besides, Moody’s has slashed the ratings of a dozen British banks, including RBS and Lloyds TSB, as well as nine Portugese lenders, amid uncertain financial conditions in Europe, which has been grappling with acute debt crisis. On the outlook for the results season, Angel Broking said in a research note, “Margin pressures have dented the profitability of Indian corporates over the past few quarters and are likely to continue in Q2 FY’12 as well. While top-line growth for Sensex companies is expected to remain healthy at 21.1% y-o-y, margin pressures are likely to result in profit after tax growth falling to sub-10% (at 8.2%) level." However, on a sequential basis, both operating and net profit margins are expected to improve, albeit marginally, it said.